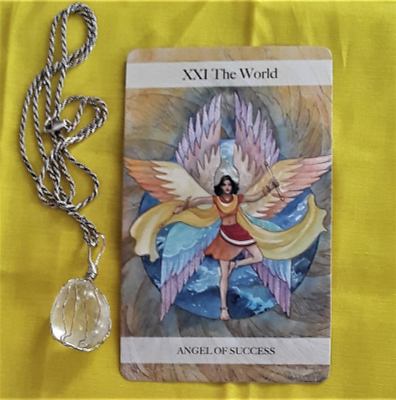 The Tarot cards for today are the Two of Swords and the Empress. If there is a decision to be made, don’t be afraid to make a choice. You have probably thought long and hard about it already. It’s just a matter of facing up to it. 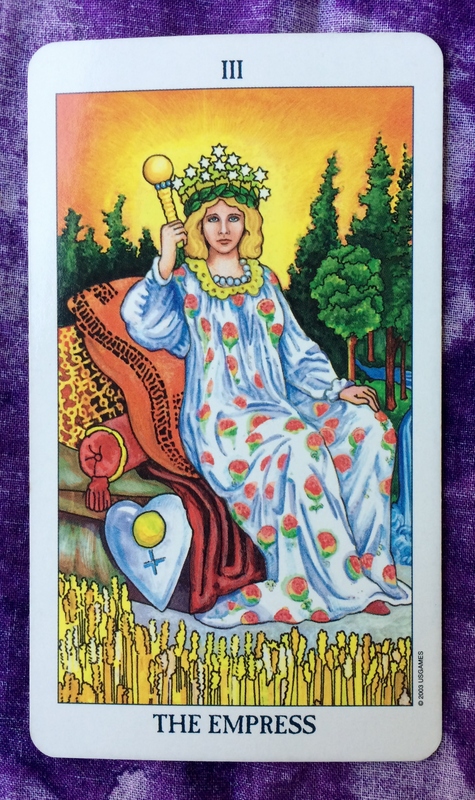 If the Empress is any indicator, your choice is one that will give you the most stability, comfort, and sense of self nurturing. Don’t be afraid to give yourself what you truly need. Hello, all! 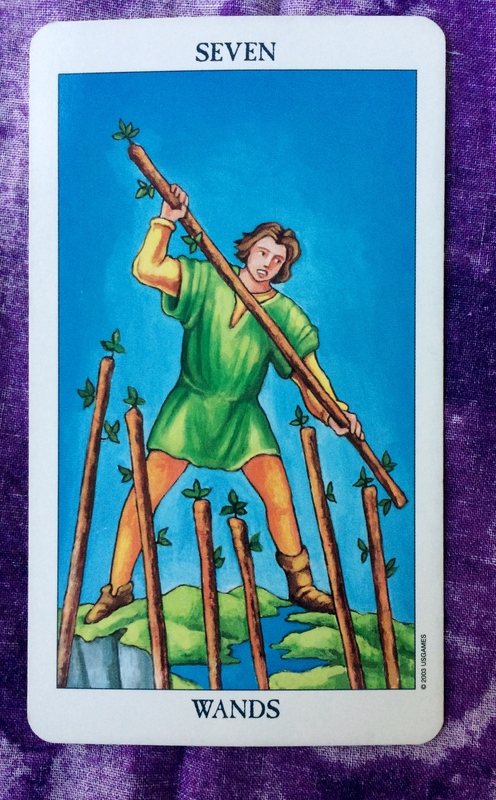 The Tarot card of the day is the Two of Swords. The choice you have to make is clear, but why is the decision so hard to make? Maybe you are overthinking it; you’re too much inside your heard. Get back into your body and open your eyes. Take a look around. Open your heart and pay attention to how you feel. Listen to your intuition. Use all of your faculties and trust yourself. You’ll know what to do. 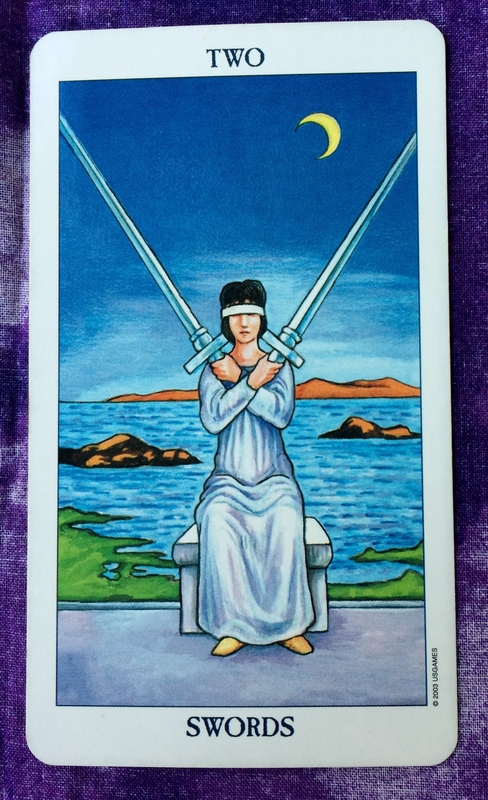 The card for today, Saturday, and Sunday is the Two of Swords. You are at a crossroads and have to make a decision. However, you are not allowing yourself to see the entire picture. You are all up in your head right now weighing the pros and cons, but how do you feel about your situation? And even though the thoughts are clanking around in your brain, you are not doing anything concrete. You are just sitting there — thinking. The key is to not turn your back on your emotions. The heart and head must work together in making any decision. Furthermore, doing nothing is only going to make the problem worse. Regardless, don’t be too hard on yourself. Once you take the blindfold off and start looking at your situation from all angles — mind, body, and soul — you will have an easier time knowing what to do.